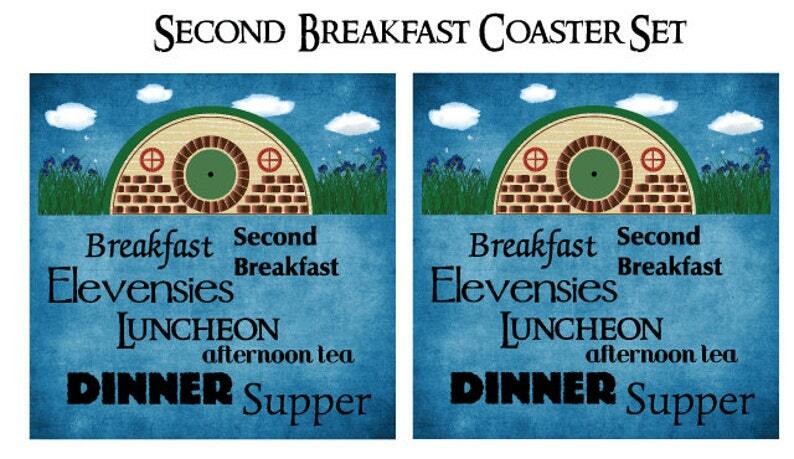 Bring a bit of the Shire home or to your office with this Second Breakfast - Hobbit / Lord of the Rings Inspired Coaster set! You can choose a set of 2 or a set of 4. Check out our Lord of the Rings/Hobbit inspired signs and decals also!